Stapleton-Spence Packing Company, a privately held manufacturer that produces and distributes co-packed and private label food products, enhances bottling production line by adding a full sleeve shrink labeling system. Stapleton’s produces RTD beverages and hot fill such as juice, tea, sports beverages, flavored waters, energy drinks, sauces, concentrates, and syrups. The new vertical system is capable of labeling up to 450 bottles per minute. 360-degree full wrap high quality graphics help brands differentiate their products and promote shelf appeal. The additional artwork area of a vibrant full sleeve label is used to engage consumers, build an emotional connection, and boost brand recognition. Full sleeve wraps may also be used for tamper evidence, protecting consumers and brand reputations. In addition, the full wrap labels can help manage bottle inventory. 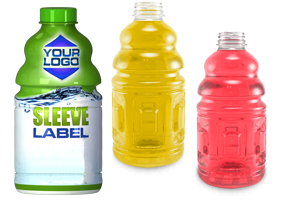 Full label graphics can replace the need to inventory different colored bottles. One of the challenges in choosing a co-pack partner is finding one willing to make the financial commitment to new process and package innovations. “The new shrink label system is just one of many company initiatives to stay current with what is important to our co-pack partners,“ says Brad Stapleton, President, Stapleton-Spence Packing Company. For more information, please also visit www.californiacopackers.com.